In three years with the Valley Vanguard, I’ve told stories of homecoming queens and earthquakes, board meetings and bake sales, rampant flu viruses and poorly executed car jackings. In this, my very last piece, I ascend from the trenches to tell you a different story. This one comes from the heart. In his November 2009 column, New York Times Op-Ed contributor David Brooks refers to a second education — an emotional education that isn’t experienced formally or very often realized. 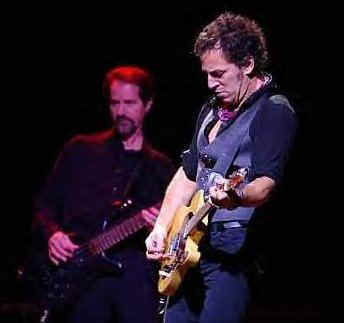 His began with a Philadelphia live radio broadcast of Bruce Springsteen and the E Street Band in 1975. To piggyback on Brooks’ earnest comparison, I suppose mine began in 2002 with the release of The Rising, a Springsteen album known for its allusions to the Sept. 11 terrorist attacks. 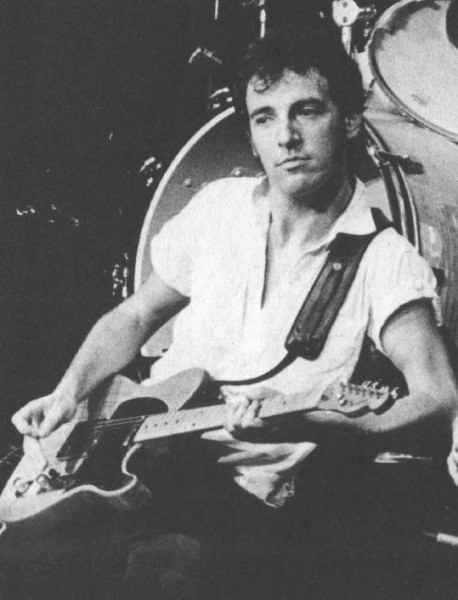 At 13, The Boss as an addition to my music repertoire was the only sound in my headphones that wasn’t a flavor of the week, and I have my father to thank for that. He’d been to his first Bruce concert that year and returned to tell inspired tales that were less of a show and more of a religious experience that comes only by way of E Street. With influences from the families of 9/11 victims, the album provides tools for those coping with loss of any kind. 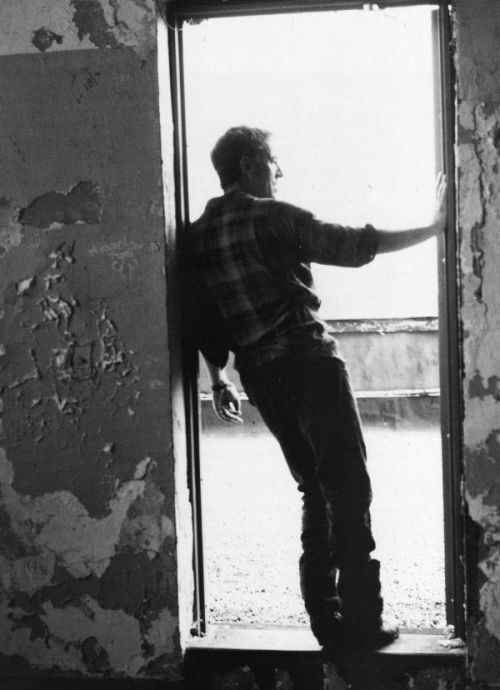 Songs such as “Lonesome Day” don’t attempt to dilute or romanticize pain: “This too shall pass, I’m gonna pray / Right now all I got’s this lonesome day.” The lyrics, delivered by The Boss, emit a sense of inner strength so contagious and uplifting. As I grew up, Springsteen songs were often the backdrop for the stories my father and I would share long after dinner had been cleared from the table. My father’s stories make heroes out of ordinary men whose persistence through hard times and small acts of kindness are their greatest redeeming qualities, much like you’d find in Springsteen’s most optimistic ballads. One of our most memorable conversations took place in late August last year, just before the start of my senior year of college, when my grandpa, Eugene Kitchen, passed away. He suffered a set of strokes at 87 and spent his remaining days in a hospice center, resting and unable to communicate. You can learn the most about my grandpa by knowing my father — he was every bit as kindhearted, resilient and humorous. A third generation Irish descendent and decorated World War II veteran, he married the love of his life, whom he eventually lost to Alzheimer’s. He was a real charmer who knew how to treat a lady — his lady. They loved to dance to big band hits and steal kisses from each other when with the family, sending out a vibe that could make even the worst of cynics swoon. My favorite memories with him are of the summers we spent reeling in catfish. He was always good for doing most of the work and letting me take all of the credit. It was an awful end to an already exhausting first week as editor-in-chief back in August when I missed my opportunity to say goodbye to my grandpa. I had planned to visit him at the hospice center one morning, full of faith and perhaps naivety, believing he would be able to recognize my presence and let me know somehow. I received word early in the morning that he had already passed. So I did what made the most sense — I went home to be with my family. This time, as my father and I sat around the kitchen table creating a lengthy list of our favorite memories and qualities of my grandpa, we added a few more tracks to my Springsteen repertoire. One was a song my dad selected to play at my grandpa’s memorial service, “If I Should Fall Behind”: a soft duet between Bruce and his wife, reminiscent of my grandparents’ long enduring relationship. Another was “American Land,” an upbeat Irish tune that raised my spirits that night. 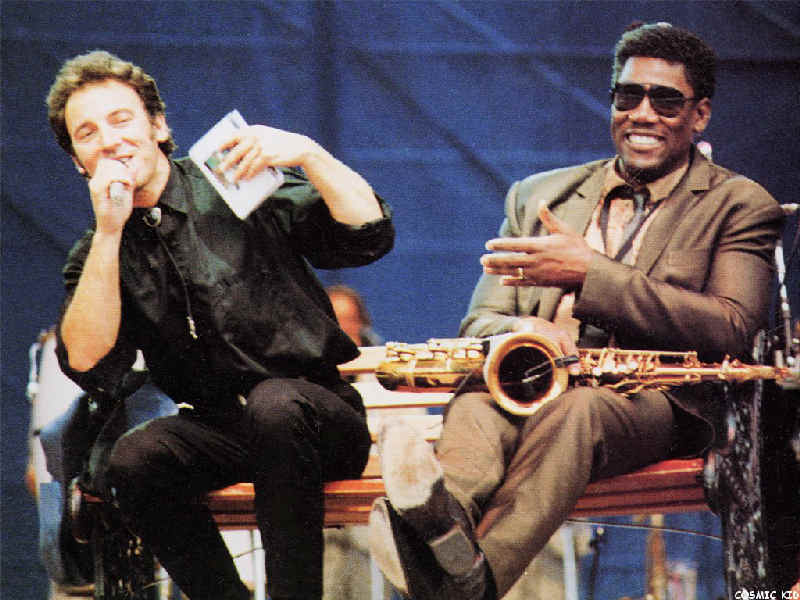 We listened to the whole Live in Dublin album along with The Rising, and perhaps by sheer coincidence, tickets had gone on sale that day for Springsteen’s Working on a Dream tour stop in Detroit. So we all bought tickets. We paid tribute to my grandpa with a near perfect memorial service, complete with a 21-gun salute. I keep one of the empty shells on the stand next to my bed, resting on a stack of five golden dollars my grandpa gave me on a fishing trip and next to a piece of green glass I grabbed from my ancestors’ beach in Ireland two summers earlier. Many Vanguards later, I was at the Palace of Auburn Hills: wrist-banded, by fate or fortune standing in the front row, feeling completely unworthy, awaiting the show. And then it began, and for three hours, I was there to experience it for myself — the energy, the soul, the sound that was constantly in my headphones now reverberating off my chest. I could hardly believe I stood close enough to reach up and touch my idol’s guitar. The fourth from the last song began with familiar sounding drum notes. “American Land,” said a fan standing next to me. It could have been that I was standing in the right place at the right time. It could have been that he caught the youngest fan in sight singing along. For whatever reason, The Boss walked to my side of the stage and stood directly in front of me. The crowd surged forward and I was pushed against the stage, peering up through a sea of hands that reached and grabbed for the rock legend. Through the arms, we locked eyes, and he smiled. I reached my hands up and gave him a pat on the knee. In one swift motion, he swung his guitar behind his back, reached down, and through the sea of hands he found mine. He placed his pick in my palm and wrapped my fingers around it, and then he turned and was gone. They are amazing, those moments, when through the chaos of flying through one day and onto the next, constantly searching for the answers to life’s most inexplicable questions, that things just make sense. Those moments when every atom racing through the universe seems to halt and lines connect the dots. You smile, you sigh a deep sigh, and you continue on, wondering how what happens today might make sense later, under new layers of context. I keep the pick next to the empty shell that rests atop the golden dollars, next to the piece of green glass I grabbed from my ancestors’ island.